The Microsoft Educator Community is a resource available to all Edinburgh staff via their Office 365 login. One of the most useful areas is ‘Get Trained’. You can find numerous courses on a variety of topics. You can find courses to help you use specific Microsoft products like Office Mix, OneNote or Sway. You can also find courses about teaching with technology and how to plan lessons that have technology integrated. You can complete Learning Paths to do with specific subject areas or you can collect badges to show your progress. You can also complete your user profile and then connect with others in the Microsoft Educator Community via the Communities and Discussions. You can find more information from the Microsoft in Education blog here. 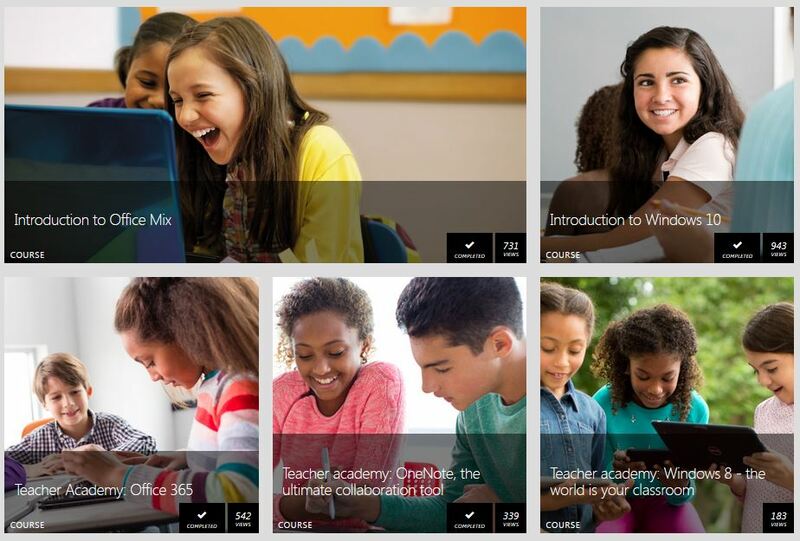 Access the Microsoft Educator Community here.